As a result of rapid cloud adoption, many organizations are trying to keep a pulse on what's happening in cloud security. 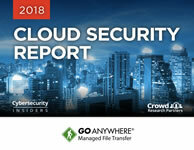 However, with constant technology developments and concerns, it can be a challenge to effectively determine how to protect sensitive cloud data. How do you stack up against your cloud-using peers? Get the guide!